All registered summer campers will receive an email a few days prior to camp with details about location, what to bring/expect, parking, etc. 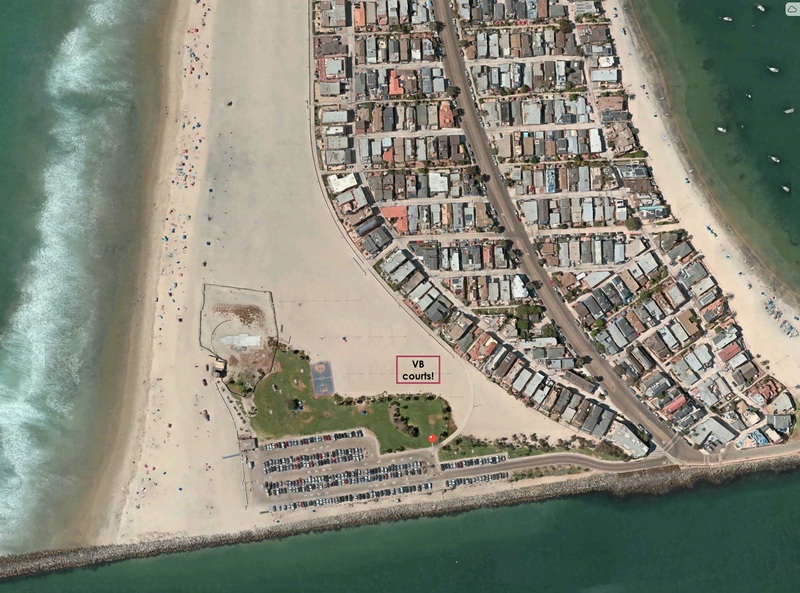 Aerial view of South Mission Beach Courts… drive to south end of Mission Blvd (south of Belmont Park roller coaster), turn RIGHT onto N. Jetty Road, into beach parking lot. 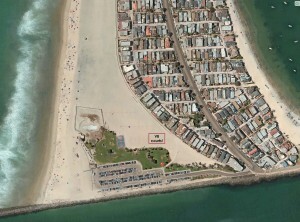 Do NOT drop off in alley or near private beach homes, use the public parking lot at the south end. 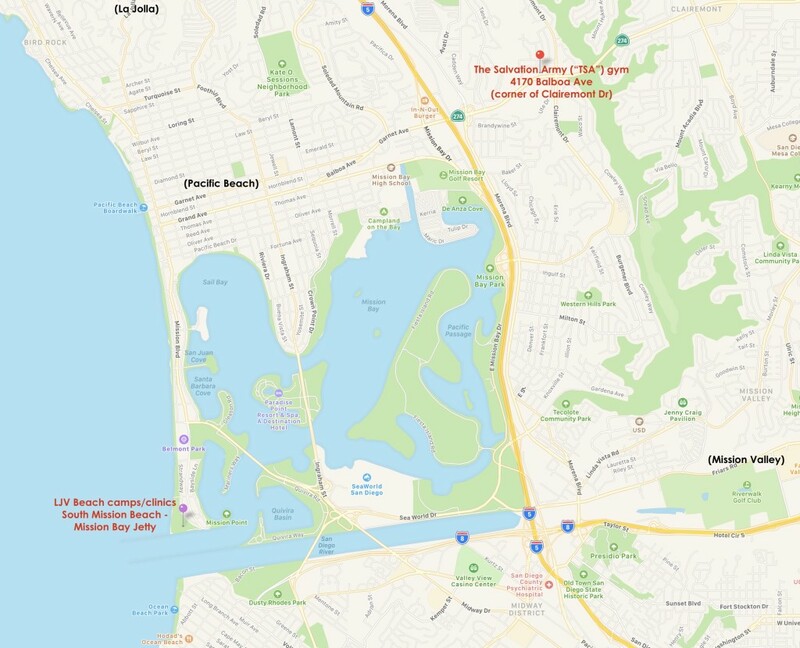 Type in “Ocean Front Walk Mission Bay Jetty” for exact location or driving directions in your maps app. – INDOOR camps and clinics are held at The Salvation Army gym in Clairemont.